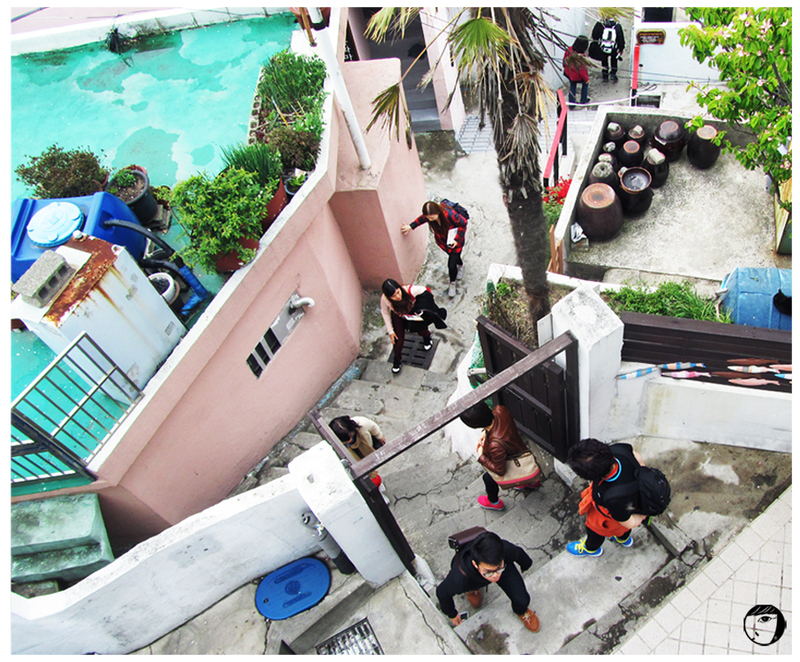 Famous as Korea’s Santorini, Gamcheon Culture Village 감천문화마을 is located at Busan. 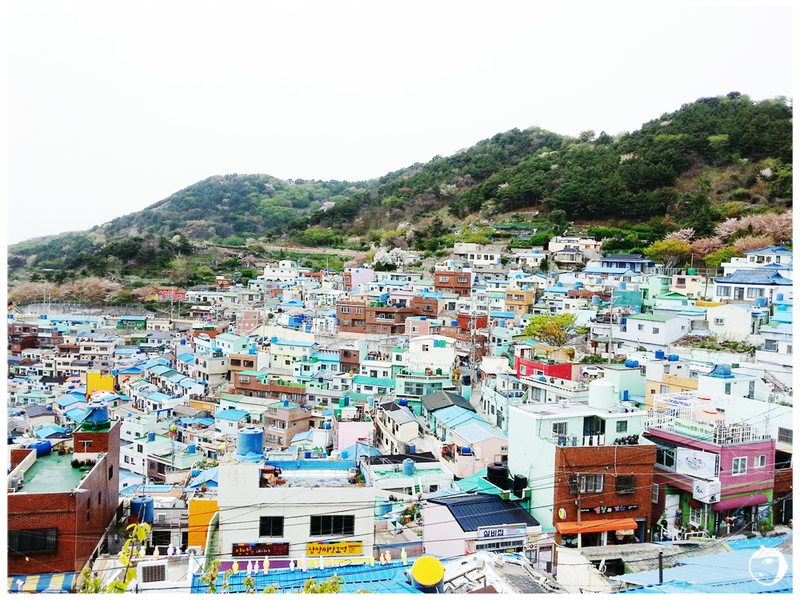 In 1950s it was built by the refugees, but has turned into a beautiful and distinctive tourist attraction in Busan. Another name for the neighbourhood is “Lego Village”. It may not be the most famous tourist attraction in Busan. Compared to my previous trip at Busan, which most of them were temples, sea or mountain, for me the place left a unique and picturesque impression and that’s why worth a visit. What we can see here are the multicoloured terraced houses with concrete alleys. Each alleys will show you something different. The walls are painted beautifully, even the stairs. The great thing is that these houses are still occupied. I’d love to have such house with colourful painted and drawn walls! Visitors can get the best panoramic view of the village and the harbour by going up the observatory. The stairs to go up to the observatory is just next to the stone wall with colourful wood planks pasted in the shape of a fish. Something that is eye-catching, you won’t miss it out! There were colourful bird-like statues on the railings too, but they are actually statues of bird with human face. Visitors are not advised to go up the observatory after 6PM. It is to respect the residents’ privacy. Some of the buildings here are used as a shophouses too. There are kiosks of snacks and Korean street food. For example, the hotteok (Korean sweet pancake filled with brown sugar syrup filling) kiosk on the right hand side on picture below, is one of the popular ones. While exploring the neighbourhood, I had a familiar feeling as Insa-dong or Samcheong-dong in Seoul before. Maybe that’s why I like this place. 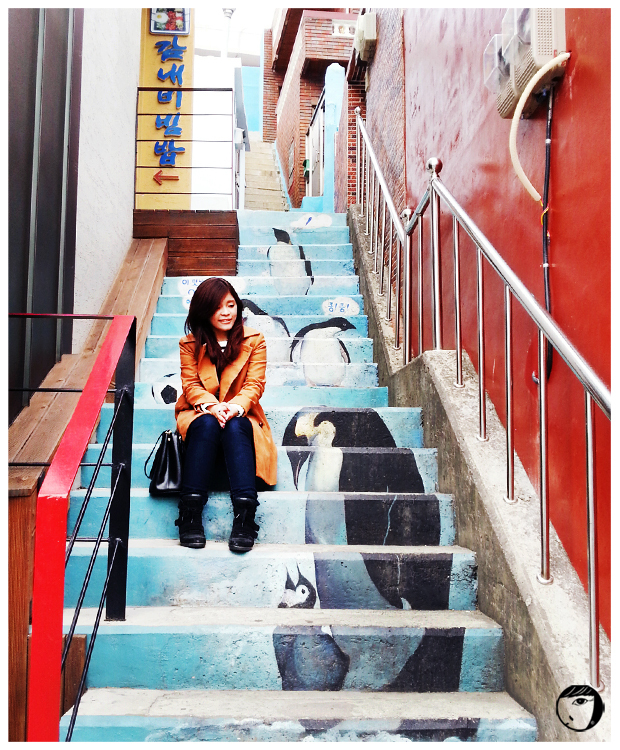 So if you like those both places, I’m sure you’ll like Gamcheon Culture Village 감천문화마을 too. Take the Bus no 2 or no 2-2 from Toseong Station from exit #8. Get off at Gamjeong Elementary School. You will see the signage, directs you to the neighbourhood.